The Power of a Single Word! The Winter Holidays are fast approaching! No matter which holiday you celebrate, you know that there are TONS of things that you need to do! Making your holiday(s) festive usually falls on the shoulders of we who are the busiest, and we gladly accept it! But, if you have your own machine quilting business, this could be your busiest, most hectic time of year! Are you prepared for the extra challenges? If you are like me, early December is when you begin to stress over the gifts you want to make for your own family and friends, which are often quilts or quilted items. You may have planned ahead. Maybe the quilt tops have already been pieced, and you just barely have time to quilt and bind them. Family and friends think, “You have a quilting machine and you can get quilts done really quick!” Then, add in family traditions – special foods, decorations, events, letters, shopping, cleaning, baking, wrapping, mailing, etc. On top of all of that, add in the quilts you need to finish for your customers! Are you breaking out in a cold sweat yet?!!!! Now. Think of your customers. They are also in panic mode! By early December they begin to stress over the quilts they want to give as gifts to their family and friends. Then they have a light bulb moment ….. They don’t have a quilting machine, but you do! So they give you a call. They whine, they grovel, and they will do almost anything to get you to complete their quilts before a certain date – usually within a week or two! And, then they tell you they still have to get the borders on their quilt and sew the back! Aarrgghh!! You now face a classic dilemma. Think fast. What do you do? How many quilts do you have lined up? It’s time to face the music…. Do you quilt your customer’s quilt or not? Yes? No? or Later? I wish I could give you a definite answer but I can’t. Only YOU can do that! BUT … here are some questions you may want to ask yourself and think about before you have to give your next customer your answer. Is this a regular, reliable customer that does good to excellent piecing? If you have worked well with this customer in the past, they like your style of quilting, they have good piecing skills, and will show up at appointments on time, you may want to say, “Yes!” (Especially if they usually say “quilt what you want. I am always happy with your work!”) You may even enjoy working on their quilt! Unfortunately, I can’t answer that question. Only YOU can! Even if this quilt needs only simple quilting, decide if you can justify to your family, friends and to yourself the time it will take you away from important holiday activities. Will you be prepared for the extra stress this quilt may add to your probably already chaotic and stressed life? What about the money? The extra $$ that this quilt (and maybe a few more) will bring may be very nice; but, is it worth the stress this will add to your life, especially at this time of the year? Do you really want to be quilting long into the night on holiday evenings? Ask me how I know this! Again, only YOU can answer this question! BUT, what if the answer is, “NO!” How can you say no in a way that won’t upset your customer or make you look like a “meanie? A Business Idea – Keep Your Customer, Even When You Can’t Meet their Deadline Request! A great idea is to design a Quilting Certificate your customer can “gift” with the unquilted top. The Quilting Certificate will say the quilt will be quilted in the future and then returned to the recipient when it is finished. 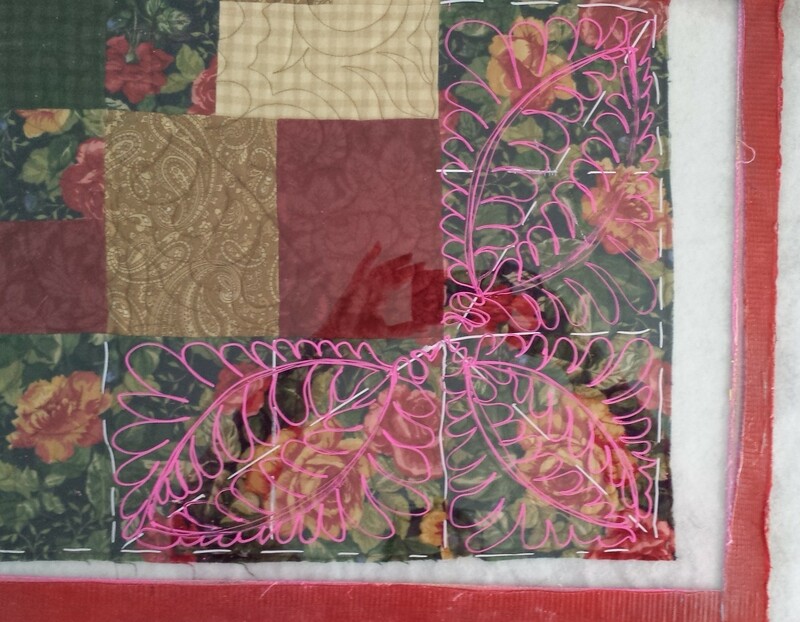 Your customer can include this Quilting Certificate with their unquilted gift. The recipient then sees the beautiful quilt that was made for them, gives it back to your customer, and they get it to you after the holidays as scheduled. You can send this Quilting Certificate as an email attachment, or print it on pretty paper and send it via regular mail to your customer. If you would like the Quilting Certificate in MS Publisher so that you can use it, please send an email to longarmu@aol.com. I will send the Publisher file as an email attachment. TIP: If this is for a good, long term, regular customer, I would not charge anything for the Quilting Certificate. If this for a new or difficult customer I would consider charging something. I might suggest a $25 – $50 deposit to keep them in my three month schedule. Everyone schedules differently, so make this idea work for you. What is the hardest part of saying NO, even in a nice way? The hardest part is being FIRM about NO and not saying, “NO, but …. maybe …….” It’s hard! If you become wishy-washy about NO, you are telling your customer that THEY can get you to do what THEY want (not what YOU want.) Aarrgghh!! If they persist, whine or grovel enough, YOU might cave! Stop this behavior! It shows that YOU are not in control of your own business! Being able to say, “NO” and being firm (but not mean) about it, is something we all have to learn. Unfortunately, most of us have to learn it the hard way! Have I said, “Yes” to quilt projects I should not have? Absolutely! I hate to admit it, but I have done this several times. Have I learned lessons from these experiences? Yes I have! One thing that helps is to be prepared. Instead of saying NO, say “I can” but not until a later date. Example: “I would love to quilt your quilt, My next available opening is approximately _____.” Having said that, sometimes NO just has to mean NO! You might even need to practice what you are going to say in front of a mirror. Also, do you charge a Rush Fee or charge extra $$ for quilting on short notice? This is reasonable, and customers will gladly pay. However, you need to know that even if you charge extra $$ for short notice quilting, it is usually not enough to cover the time away from family, friends, your own projects or loss of sleep at this time of the year! At the end of December, say between Christmas and New Years, I highly recommend quilters take some time away from their business to relax, de-stress, and re-charge. Give your machine a good dusting, unplug it, close the door to your studio and take a few days off from quilting! Spend some time doing something YOU want to do and RELAX! Visit with friends and family, or just spend some time by yourself. Whatever makes you happy, just do it! When you get back to work, you will be refreshed and ready to begin again! From me and all the rest of us at LongarmUniversity, to you and your family, we wish you all a wonderful holiday season; and please, enjoy some relaxing time for your personal life.